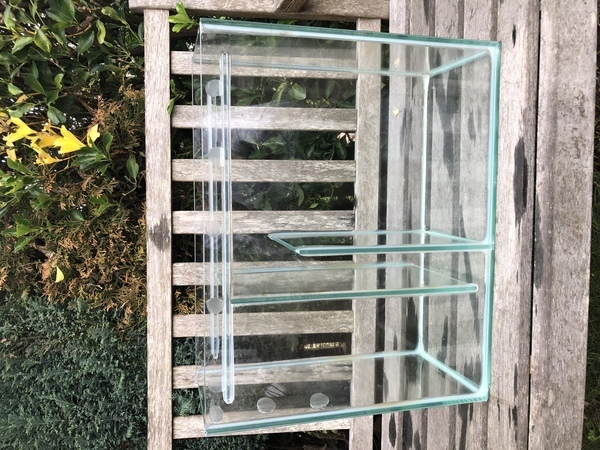 Custom 3 compartment sump for sale. Description: My tank is has now all gone but have this custom sump for sale. Had a Juwel Rio 125 tank that I converted myself, sump was custom built to fit in the base unit of that particular cabinet. Size is 500mm wide, 400mm tall and 200mm deep. Split into 3 compartments, has a few chips due to movement of the tank etc but I’ve had it approx 4 years and no leaks.